of thoughts, resources, projects and ideas on the Circular City. Pls. contribute to the discussion in the comments below. 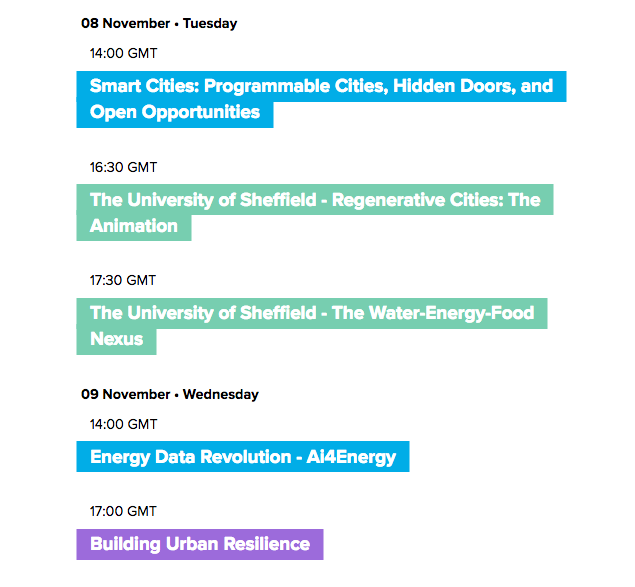 This topic was created ad part of the [OSCEdays Open Labs on the Circular City 2016] (http://oscedays.org/dif-labs-2016) a collaboration of the OSCEdays with the Disruptive Innovation Festival 2016. Check the DOCUMENTATION of the Open Labs Event here. The goal was to find ideas for ACTIONS and projects and later write them down as step by step guides so people can implement them in cities across the globe during local events. Study the 2016 Sessions on the Circular City for Inspiration. Just started a topic for the food ACTION for Berlin during the DIF. We spoke about that during the BoSt-call and there was consensus that I should go ahead with it and start plannign and getting my networks interested. 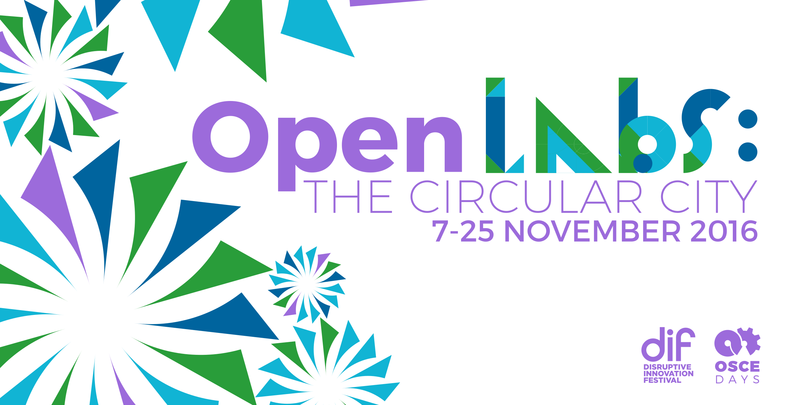 Upcoming Circular Economy European Summit specific to cities. Welcome to Reburg a fictional circular city by Plan C.
How cities are Innovating towards a circular economy. Guardian article. The example of De Ceuvel in Buiksloterham makes a compelling case for localism in fostering circular cities. I’m interested in mapping local circular organisations in an open way - as a process and therefore shared outputs. I think it will allow people to more easily choose circular, allow collaborations to form between circular organisations, etc. I’m looking to build out an action to test in Cambridge UK on Nov 12th at the Circular Cambridge Festival. Does anyone have any pointers as to a good way to do this? As context, I’ll be on a stall, possibly in collaboration with another stall, within a larger space with other Festival activities. In 2014 OSCEdays’ Sam Muirhead @cameralibre helped to make this 30min VIDEO DOCUMENTARY about Fablabs and their potential role for the sustainable regenerative city in 2050. Very inspiring! In the future all physical products and process in a city are designed for constant rejuvenation of the city out of the materials ( the atoms ) that are already in it. (Almost) no physical materials need to leave or enter the city. This is enabled through an open flow of information (Data) in the city and around the planet. 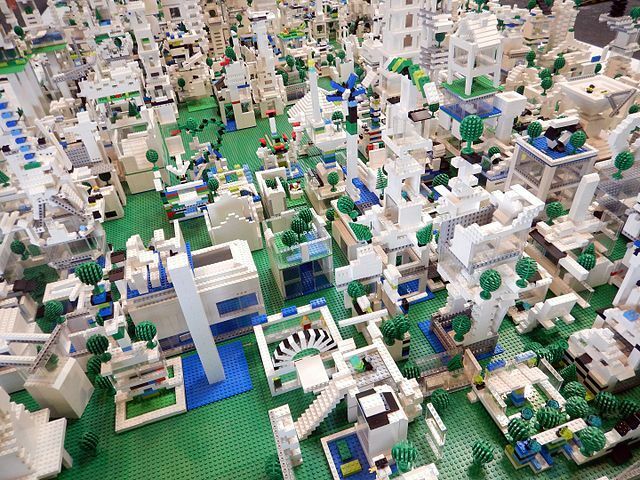 Cities learn and research openly together ever better rejuvenation for their atoms. How will live be in this cities? And how do we get there? I am sure Open Source will play a huge role for both answers. In a drawer somewhere someone found an unknown and unpublished chapter of H. G. Wells’ ‘The Time Machine’ (1895). In this chapter the time traveller visits a circular city in the year 2052. 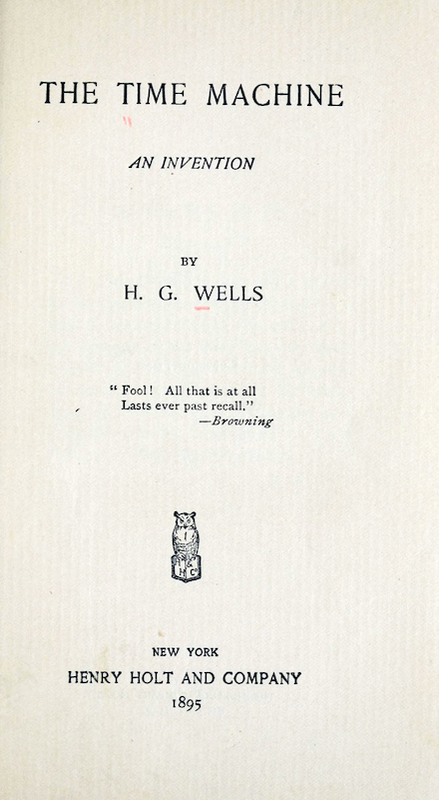 Why did H. G. Wells never published the chapter? Probably it had way to much positive spin for his taste back then. ALMA: Yes, production has always been a part of the city. But with digital fabrication, circular economy and open source it got even closer to the center of the city. Today the city is our factory. THE TIME TRAVELLER: You mean all the things around us were produced here? Hard to believe. The city would be pretty stinky then! And full of garbage. ALMA: Well, it isn’t. We work in closed loops. Everything new is produced using something old. We have no waste or garbage but resource collection systems. TTT: Where wood is chopped, splinters must fall! ALMA: True. But we don’t have much of them and we don’t have them as garbage. Building entirely new things is something we try to avoid where we can. We rather repair things or reuse them. Our factories are mostly repair and refurbishing shops or facilities. We build long lasting things. That stay in fashion. Alma pointed to the other side of the street where a young woman with rainbow colored hair was walking. She wore the exact same shoes as the time traveller: brown leather oxfords. The time traveller had bought from John Lobbs in London 4 years ago in January 1891. ALMA: Repair and reuse is easy because we use mostly standards and commonly spread and reusable parts and materials. Nuts and bolts you even know from your days. I think our designers aren’t satisfied with their work till they have a least 3 different future uses for each part of a design and all side products of the production. TTT: I find this hard to believe. Look at the range of things around us! Who is supposed to keep an overview and know all of that! ALMA: All our products and processes are Open Source. Information about them and all possibilities for them are freely accessible. We use mostly digital fabrication tools. They feed on this information. And enable creative circular reuse and reproduction. The objects themselves know their circular possibilities and share them. This way the possibilities grow. 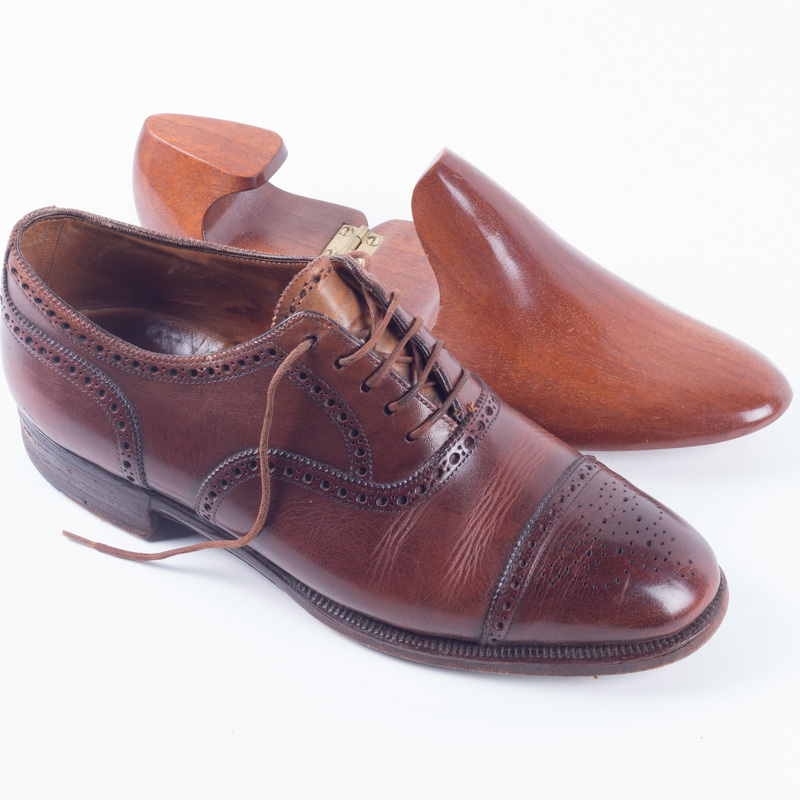 The young lady with the brown leather oxfords stood now right in front of them. With a quick move Alma touched a little sign on the shoes. A colored moving image appeared between them showing the shoe and all kinds of information about it like ‚materials‘, ‚recycling info‘, ‚reuse opportunities‘, ‚building plan‘. TTT: So basically everyone can look up all this information? Always? – But it is true, the fact that everyone can look up all information did a lot of good to our democracy. It turned out that the possibility to learn about the objects in our environment and to influence them, made more people develop interest and practical understanding of the ecological circular processes around them. This made our democracy stronger and smarter. Thanks to open circular design. TTT: How often do you change and rebuild the city then?! ALMA: Well, this does not only depend on the will of the people. There are external forces at play! The climate on the planet has changed since your days. We have storms and floods destroying cities on a regular basis. And huge waves of refugees as a result putting cities under pressure. 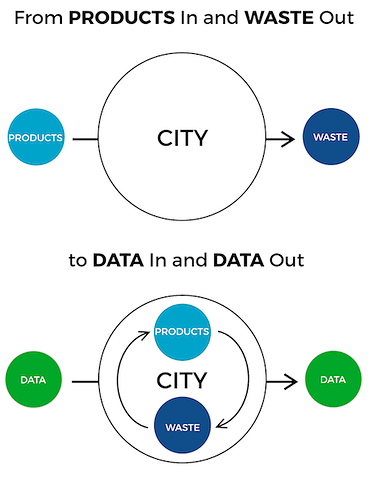 Open circularity enables us to fix, rebuild and adapt our cities quickly. And because of that have more peace on the planet. The two walked down the street. At the next corner stood an object with the letters ‘OSCEKA’ on it. Alma stopped in front of it. TTT: If you had a time machine, what would you do!? Would you travel to the future and see how all of the very same atoms here around us are shaped into an entire new city? ALMA: No. I would take on of these object here – an OSCEKA – and travel to the past. The OSCEKA was the first thing that really made people understood Open Circularity, and inspired so many people to contribute and invent it further. If the OSCEKA had been around earlier, we would already be in this entirely new city today. The time traveller looked closer at the OSCEKA. And as he did he started to understand everything Alma had explained to him. It started to make sense. Of course! Sadly the manuscript ends here. I whish H.G. Wells would have described the OSCEKA in more detail. Now we have to come up with it ourselves. Quickly. Ps. If could know at least what OSCEKA means. Maybe Open Source Circular Economy Killer Application? This is maybe a good idea to communicate ideas about the circular city. Do you have an idea for it? Feel free to share it as another episode in the conversation of ALMA & the TTT. Lets write collaboratively a full chapter about the Circular City! Similarly we looked at this in London// Reading - can set some time during the Open Labs to develop, document further! 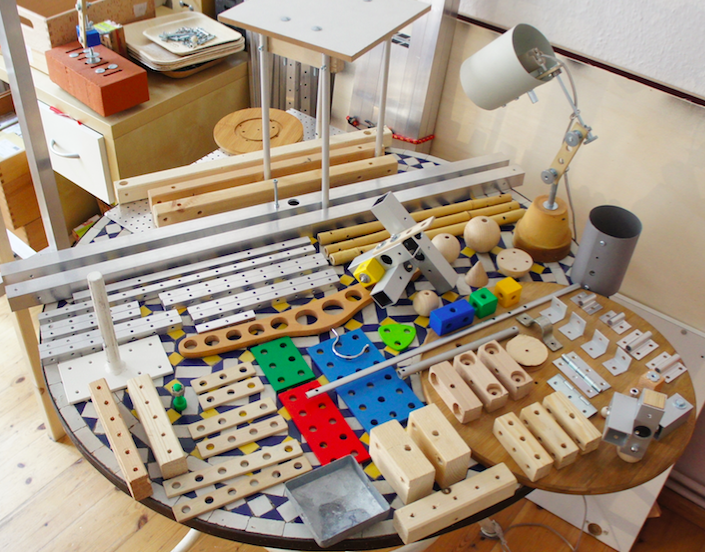 Hey, I am exploring the idea of ‘Open Modularity Park’ – a place in every circular city where people can go to experiment and prototype with libraries of open modular parts. For this I’d like to create an ACTION as a first practice. It is about ‘Creating A Hackathon/Designathon With An Open Modular Grid’. And I could use some help, for example with Urban Mining ideas! Here is the ACTION in development LINK. Thank you for this. it is very exciting. I am the secretary of our local food co-operative and am currently documenting all the local food initiatives in my bioregion and mapping the gaps. I am a community mobiliser by profession and really love the project management approach you have taking to the Food Action Plan. I look forward to seeing more from Berlin and would like to contribute as I can. My community is a town in the Sunshine Coast, a conurbation north of Brisbane Queensland with a population about the same size as Hamburg I think. Hi, thank s for getting in touch. We very much appreciate your feedback, comments and questions throughout the current process here. and would be glad to have you join us and contribute your persepective in writing up a general ACTION. Please simply join the threads in either one of them. Hey, i want to think about small scale, modular green facade-systems. On the way to circular Cities and giving them a positive footprint, green roofs and facades are one important tool. Lets think about solutions that anybody can participate in this shift towards a circular city and build there own green facade. creating-a-small-scale-modular-diy-green-facade-system-for-buildings in the Products & Objects area. The climate on the planet has changed since your days. We have storms and floods destroying cities on a regular basis. … Open circularity enables us to fix, rebuild and adapt our cities quickly. Make sure to watch some talks, share what inspired you here and invite the people from the talks to our discussion here. 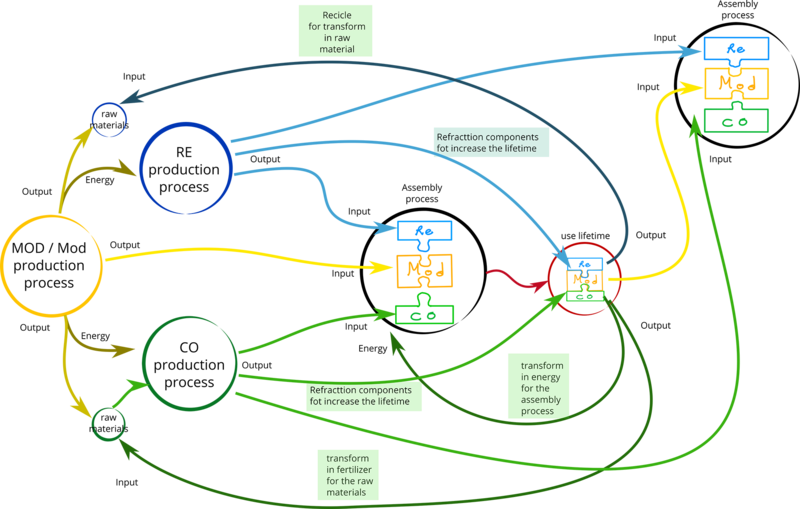 This model is quite interesting and makes me think about how these productive models should be structured. As an industrial designer and university professor of sustainability in the design, I have tried to propose in the classes more sustainable productive models for the products, which has led me to think products that fulfill several purposes that can be applied and be very useful for the Circular city, although this sustainable products are rarely understood in how sustainability is applied and how it will be open to improvements and can really impact the way we manufacture the products. MOD- a modular base that serves different products or product categories and is the motherboard on which the different systems are mounted. Mod- other modular parts that help to better integrate the system but not the main base but components that allow its operation. MOD or mod - being a main element, its useful life should be extended since it should serve as a matrix for new products, where possible tending to an infinite (impossible) life that allows to be used and reconfigured countless times. The mod elements should be able to be coupled each other creating more resistant and complex systems with a greater capacity of use. Re- These parts that cannot have an extended life time, either by technical characteristics (such as being in contact with food or because they are programmed to suffer some type of wear) or because their duration can not be controlled, must be designed with materials That come from recycling processes or that come from other productive cycles and that they are designed precisely so that they are destroyed and remanufactured. In this way it is possible to introduce these products into closed cyclic models (with a high degree of difficulty) that allow to control their entry and exit. Co- The latter are pieces that can not definitively be reused or that their materials can not be recovered, so they should be avoided to end in a landfill, so they must be recovered and used for the generation of energy within the productive processes or for The production of organic materials inside or outside other productive cycles, as fertilizer that allows the growth of this organic material. The ultimate goal of this type of product should be to minimize its impact on the environment. A last important point of this approach is that it must use associated service models that allow the recovery of these components and allow producers and customers to understand how their role is vital to the operation of the system and that the loss of materials are Reduced to the maximum. The physical part of the product is only a 30% of the system, but without the other 70% corresponding to these associated services, this model is impossible to carry out in sufficient quantities to be feasible. in order to reach a truly circular economy organizations need to find new ways to collaborate. We, @Sylke @simonlee and @Alice_audrey are developing a new methodology “CIRCLE Dinner” in order to get those conversations started. Are you interested? Join us and help us develop this methodologies for circular economy! I have found the perfect place in geologic space for Seattle’s transition into a more Circular City: See www.circularcities.com - I think the Worlds Fair, in terms of celebration, is a good time for all and what if we could through the help of the gaming community, transform the Worlds Fair into a more interactive celebration, say www.circularcities2030.com (insert work in progress), a chain reaction so to speak, one that could happen simultaneously in every city around the world. If we are to take reality seriously, we know that everything must change. I keep thinking Fun & Games: the solutions to the problems have to be FUN, and seen as how most cities in the world today are located close to sea level, we must act. Pronto. Circular Cities 2030, as a Worlds Fair event, could be one based on the premise of adapting our cities to a changing world. I keep thinking of the new POP culture - Parks over Ports (www.parksoverports.com) - Transforming Trade Routes into Tourist Traps. Fun & Games. I want to present this idea for Circular Cites 2030 to Magic Leap: they just moved into my neighborhood Georgetown,WA. I wish I had more time to discuss this here. This is a fantastic and very simple way to explain/create Circular Products! I wonder, do you have any examples for MOD? What do you use with your students? Plus, I wonder if we can transform this little list of criteria into an ACTION. The ACTION would be to design a circular product with the 3 parts – one Re- one Co- one MOD or Mod. I would be happy to assist you in the creation of such an ACTION. How can people help you? Do you have a collaborative document somewhere? If you have none yet, feel free to set up one and share the link here. You can use the forum for the document (It has a wiki functionality). If you want to start with a brainstorming we could have one in a video hangouts during the Open Labs for example? But before I add more ideas - what is already there? I found these animations that were published through the Disruptive Innovation Festival program.